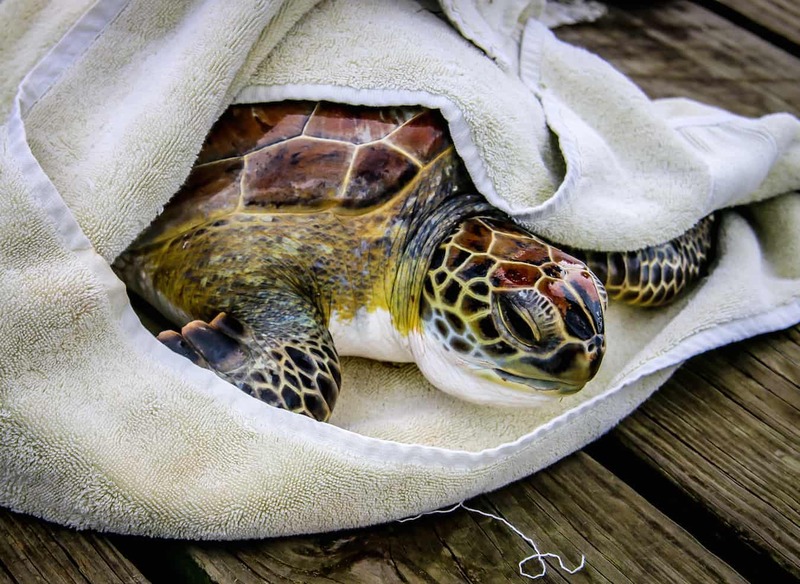 “We just got a call from the captain of a local shrimp boat,” said Jeff George, the Executive Director of Sea Turtle Inc. “They’ve got a sea turtle that was trapped in their nets this morning, and he’s in pretty bad shape. Do you have time to help out with a rescue?” Our answer to this sort of question is always an emphatic YES! We were about 15 minutes into our tour of the Sea Turtle Inc facility in South Padre Island when George interrupted our conversation with Administrative Assistant Jean Pettit. We immediately dropped everything, piled into Pettit’s car, and made our way across the causeway to the town of Port Isabel. Along the way, Pettit explained that this was the fourth call they’d gotten this year from the shrimp boat, The John Henry. 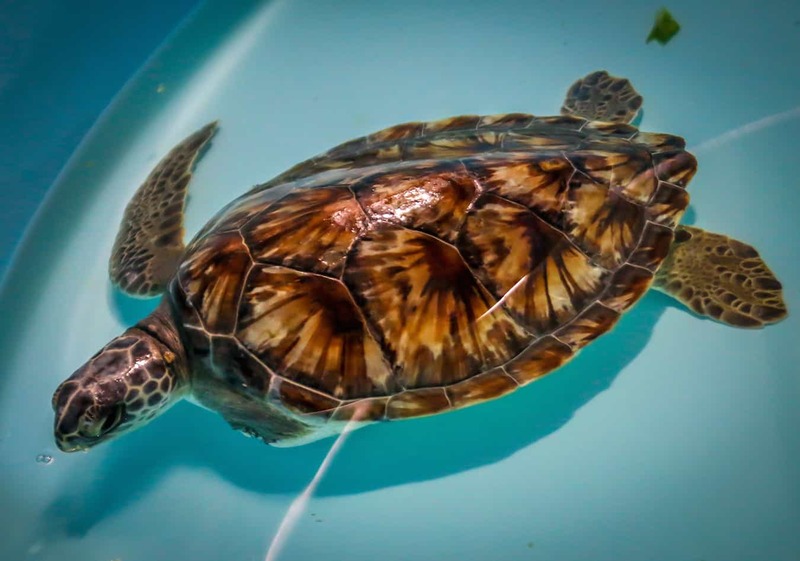 The Texas Shrimp Association actively supports the use of Turtle Excluder Devices– a grid of bars with an opening, either at the top or bottom of the trawl net, through which larger animals such as sea turtles and sharks are ejected. But occasionally large barnacles on a turtle’s back cause them to get entangled in nets and fishing lines, leaving them submerged and unable to catch a breath. This can lead to shock or even death if the turtle does not receive treatment. So it was with a mixture of excitement and trepidation that we hustled down the dock towards the boat. 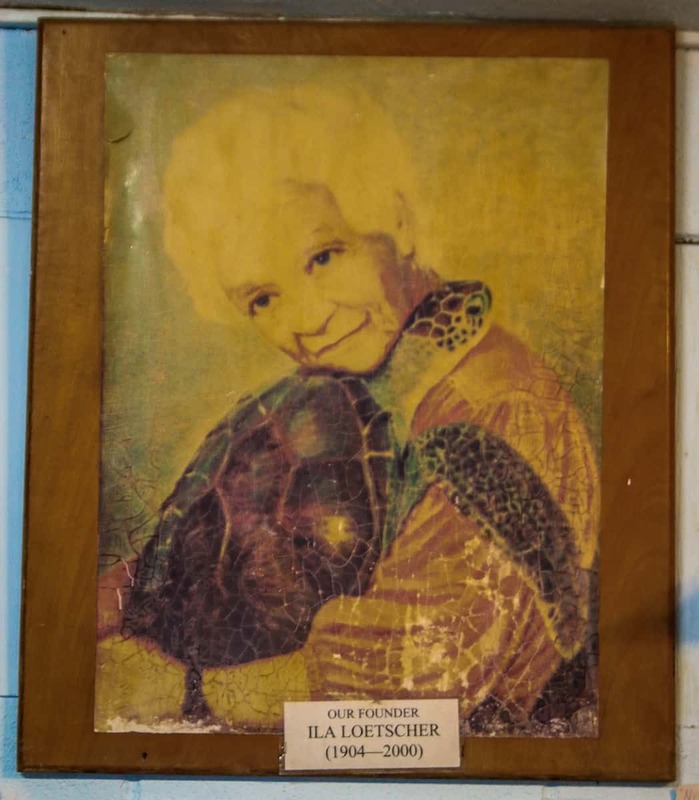 Sea Turtle Inc was founded by one extraordinary woman, Ila Fox Loetscher. Originally from Iowa, Loetscher was the first licensed female pilot in Iowa and Illinois; a friend and contemporary of Amelia Earhart; and one of the original 99s, a support group for trailblazing female pilots first organized in 1929. In 1955, after the death of her husband, she moved to South Padre Island for a fresh start. Her fascination with sea turtles began in the 1960s, when she volunteered at the principal nesting site of the Kemp’s Ridley sea turtle in Rancho Nuevo, Mexico. 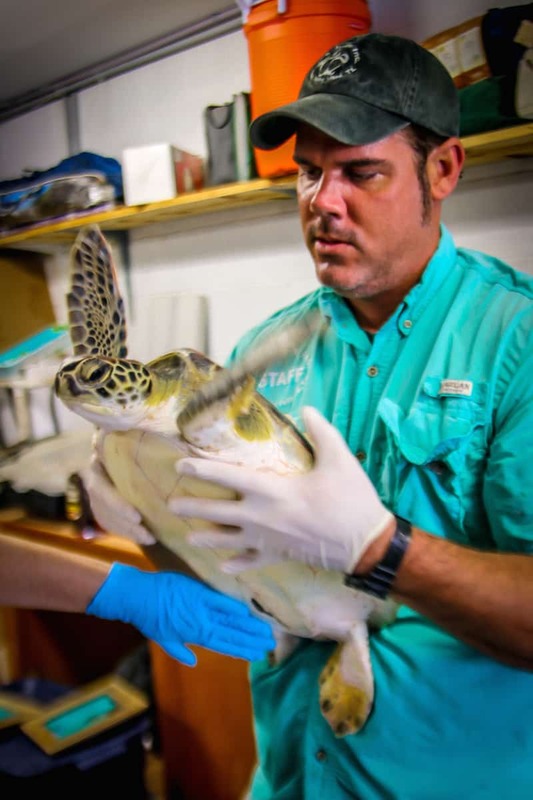 They would collect eggs from the endangered turtles to save them from poaching, bringing them back to Texas for protection and release upon hatching. 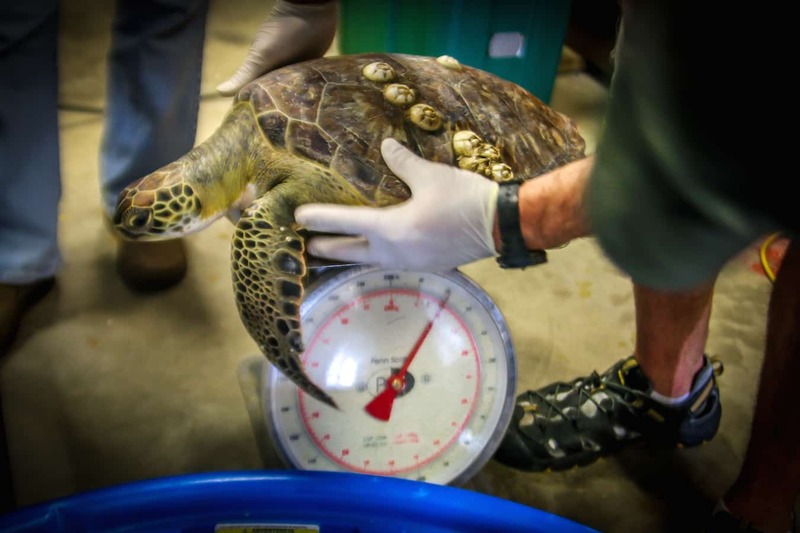 Gradually, Kemp’s ridley numbers in SPI increased dramatically. 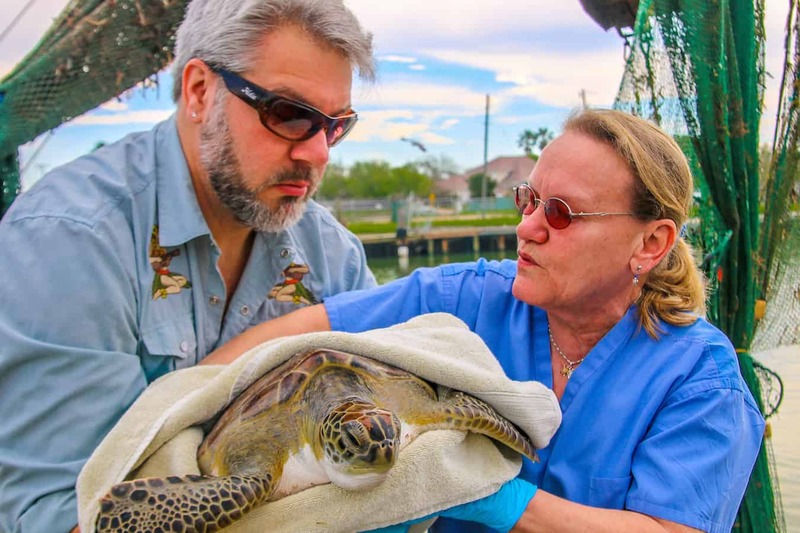 Loetscher, whom Jacques Cousteau called a “wave maker,” began rehabilitating injured sea turtles in her home and educating visitors to South Padre Island about how to save them. She founded the non-profit Sea Turtle Inc in 1977 (she was 73 at the time) to protect and preserve sea turtles, particularly the Kemp’s Ridley. She became famous as “The Turtle Lady,” appearing with her favorite rescued animals on The Tonight Show Starring Johnny Carson, Late Night with David Letterman and in National Geographic documentaries. You can still see her favorite turtle, Gerry, at the facility today. 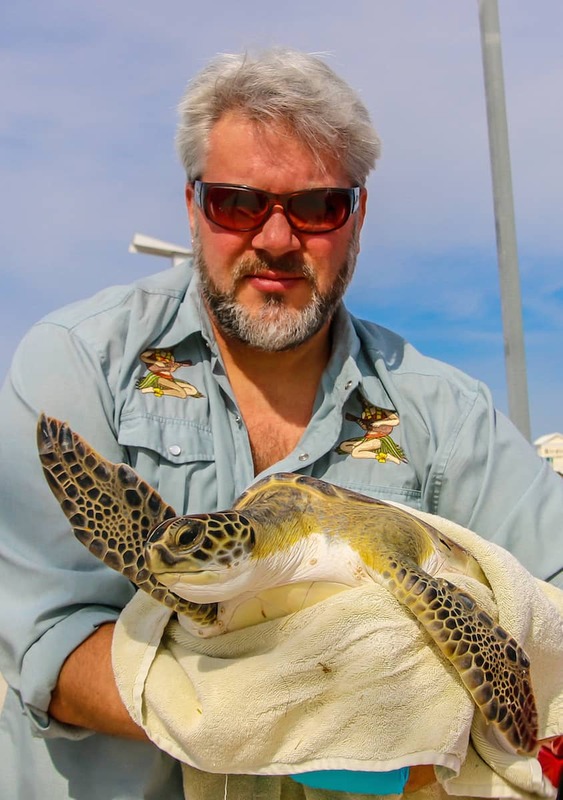 By the time she passed away in January of 2000 at age 95, Sea Turtle Inc had a slew of volunteers, a Board of Directors, a Curator and a facility that draws more than 100,000 visitors and rehabilitates approximately 300 sea turtles a year. It’s now South Padre Island’s #1 tourist attraction, winning TripAdvisor’s 2014 Certificate of Excellence. We held our breath for the worst as the captain hauled the injured Green Sea Turtle out onto the dock. He’d told Jeff that it looked as if the turtle’s carapace (or shell) was cracked, which would require a difficult and expensive fusion to repair. The turtle appeared to be suffering from shock, and he was covered with a good number of barnacles on his shell and belly. Although the John Henry captain claimed to only trawl his shrimp nets for 30 minutes at a time (some boats only pull them up once an hour), there was no way of knowing how long the little guy had actually been underwater. He didn’t even try to move as Jean gave him a preliminary examination, which is not usually a good sign. Jean– a licensed naturalist guide and longtime turtle conservation volunteer– could’ve easily managed the 18-pound turtle by herself. 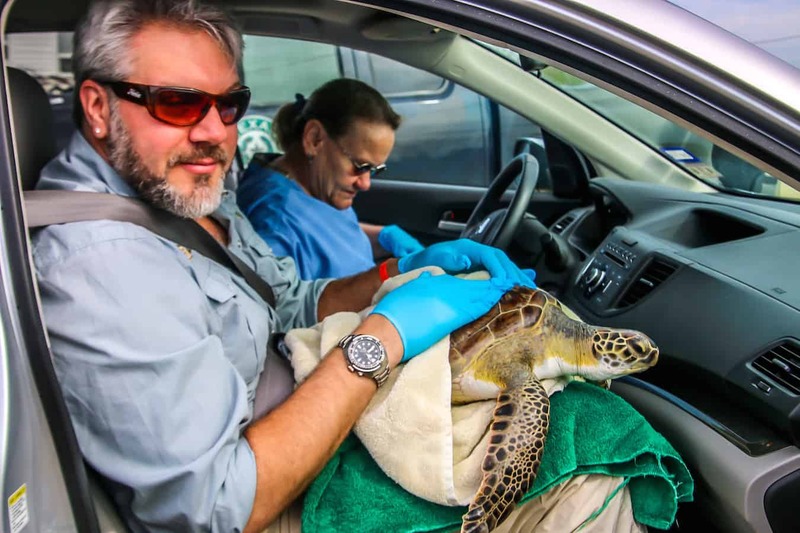 But she graciously asked me if I’d like to carry the patient to the car and hold him on my lap for the ride back to Sea Turtle Inc. Once again, my answer was an emphatic yes, and I quickly pulled on surgical gloves to protect his skin. We gently wrapped him in a towel as she explained the proper way to hold him, cradling him snugly against my chest like a baby, with one arm wrapped around his chest and the other around his belly for support. I felt a bit like a nervous dad as I walked the 50 yards to the car, gazing into the turtle’s watchful eyes and whispering silent prayers of healing. Mary quickly snapped a few photos as I gingerly eased myself into the passenger’s seat, making sure the turtle’s head and flippers were supported by my legs. But when other people saw what was going on and came over to take photos of us, Jean’s urgent response reminded us that time really was of the essence. Jean and Mary talked about South Padre Island’s critically endangered Kemp’s Ridley population during the drive back– how it’s the only turtle species that nests on SPI’s beaches, the only one that nests in the daylight, and how exploitative companies used to take their eggs by the truckloads for use in turtle oil cosmetics. A documentary showed more than 40,000 turtles on nearby beaches in the 1940s, but by the ’80s the population had dipped to 500. But, to be honest, I was only half listening: My attention was mostly focused on the beautiful creature in my lap. Though he didn’t move much, he would occasionally raise his head and breathe erratically. I spoke to him softly, with both hands on his back, trying with all my might to transfer positive, healing energies from my body into his. “Please don’t die,” was my silent plea. Back at Sea Turtle Inc, there was a rush of excitement as families emerged to see me carrying the patient across the parking lot. I got a little excited myself, as my 4-flippered friend suddenly came to life, flapping his arms with surprising strength. I never felt like he was in danger of getting away from me, but the velocity of his slaps against my arms suggested the turtle might be okay after he had some time to recuperate from his shock and exhaustion. Jean ushered us around to the side of the facility and into the garage that serves as both a makeshift operating and examination room, with a small quarantine area for infectious turtles. Both Jean and Jeff expressed the difficulty of dealing with the volume of turtles and visitors they have to handle in such a confined space. Sea Turtle Inc is currently in the midst of a $420,000 capital campaign to upgrade and expand their facilities. As I laid the turtle on a damp towel in a plastic kiddie pool, another volunteer came over to weigh and measure him (17 inches long, 14 inches wide, 18 pounds). 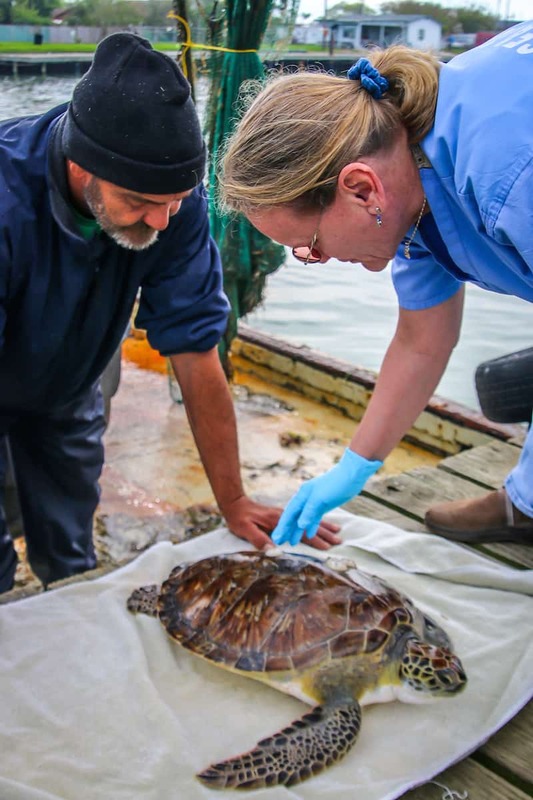 They scanned the turtle for tags to see if there’s tracking info (there wasn’t) and then examined him to see if there were any pressing medical issues (there weren’t). The prescribed treatment was a little R&R, some vitamins and removing the barnacles, which typically fall off after soaking in fresh water for two days. It was an exhilarating emotional roller coaster with a very happy ending. And it grew even happier when Jean asked if we would like the honor of naming our new turtle friend. 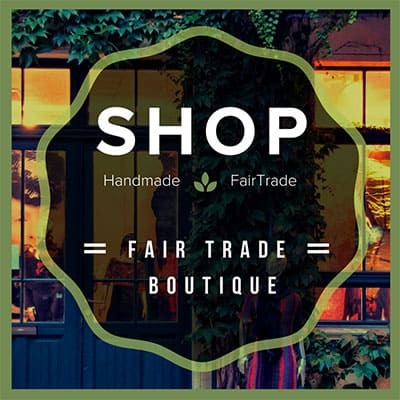 We thought about it for a long time, and ultimately decided to combine Green (for Green Sea Turtle and Green Global Travel) with our family name, Love. It was with great pleasure that we watched Greenlove flapping his flippers emphatically, knowing he’d be returned to the ocean very soon. This wasn’t our first time getting up close and personal with sea turtles: We’ve swam with them in Hawaii, Riviera Maya and the Galapagos Islands; watched them lay eggs in Dominica; helped release baby sea turtles in Cancun; and visited conservation facilities in Bermuda and Jekyll Island. But there’s something very different about having a hands-on role in the protection of a species. It becomes more personal, leaving you feeling more connected and invested in the concept of conservation. 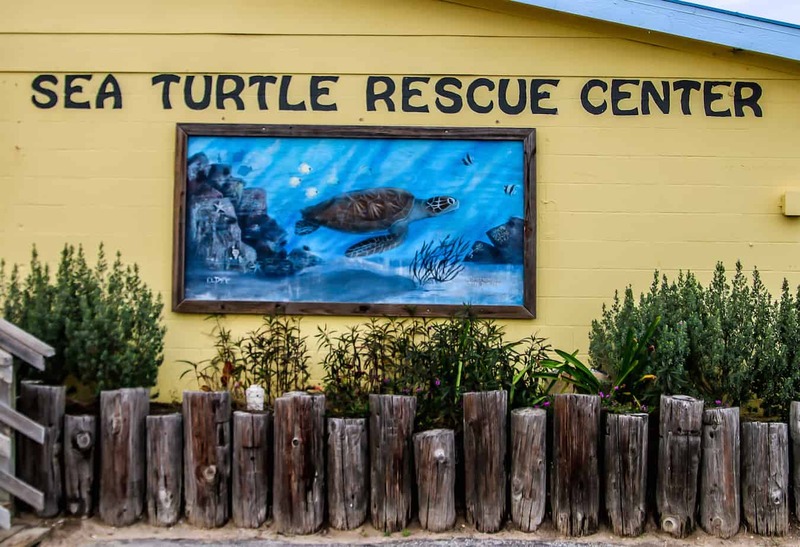 We’ve always been passionate about sea turtles, but our visit to Sea Turtle Inc and our experience helping to rescue Greenlove made us want to be even more involved. Our trip was sponsored by South Padre Island and Travel Mindset, but we will never compromise our obligation to our readers. Our opinions remain our own.